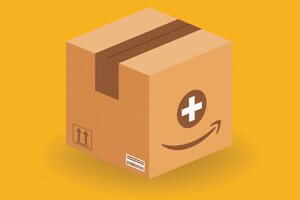 PPS Impact Magazine » What Could Amazon’s Approach to Health Care Look Like? It is no secret that we are on the verge of paradigm shifts in the health care industry. The strain in our current system does not seem sustainable, and it is evident that we have multiple players in the tech industry looking to forge paths into the realms of health and wellness. Amazon, the company that has aspired to be “Earth’s most customer-centric company,” has made recent moves, making it clear that it sees the 18 percent of U.S. gross domestic product designated to health care as ground for positive expansion and growth. Recent moves by Amazon to pursue pharmaceutical distribution and to collaborate with Berkshire Hathaway and JP Morgan to create joint solutions to reduce health care spending for over 1 million employees have sparked debate. Proponents term this as “disruptive”; a natural diversification opportunity for the company to further strengthen its mission as the most customer-centric company on the planet. Critics stress the company’s lack of expertise, claiming that the health care industry has been seemingly resistant to the same competitive forces in which Amazon has historically thrived. Despite this heated controversy, Huckman claims that we should evaluate Amazon’s efforts in a conditional manner: If the company succeeds in changing health care, how might it do so? The author breaks down four main different types of customer experiences that Amazon could apply to health care if it does indeed succeed in carving out an important role in the industry: making routine transactions seamless and reliable, passive data capture, data analytics, and turning itself inside out. The introduction of Amazon Prime, which provides two-day delivery on many Amazon orders for a fixed annual fee, was a big shift in the early business model for Amazon. Huckman argues that the same approach could be applied to health care delivery by confronting administrative burdens and scheduling concerns faced by patients seeking routine services in a one-stop setting. Amazon’s acquisition of Whole Foods has given it a retail footprint that could offer the same basic health care services (immunizations, blood draws, and strep throat cultures) that are found at other retail clinics such as those offered by CVS and Walgreens. In addition, its broad distribution network aimed at same-day delivery in many markets (through Amazon Flex, its “Uber for delivery” service) could make near real-time delivery of certain prescriptions a reality. Amazon has the ability to capture an extensive amount of data regarding the purchasing habits of each of its customers. Furthermore, this data capture is passive and doesn’t require consumers to enter much. The Amazon Go store allows customers to swipe phones over sensors that gather and distinguish clients’ actions. This passive data capture is most concerning to privacy advocates. Huckman proposes that although these are valid concerns, the magnitude of hospital investments currently made and lost on the management of health care information technology and electronic medical record (EMR) systems could be resolved with the implementation of greater efficiency and management of passive data capture. With the simplification of data capture, Amazon frees up resources to analyze information for the purpose of business intelligence. The company could potentially integrate the wealth of data that links an individual’s medical record with their overall purchasing patterns, genetic information (particularly if Amazon incorporates blood draws in convenient settings), and activity patterns. This type of data integration is an objective of many companies and health care delivery systems that are trying to target care based on an individual’s specific preferences or genomic information. Many health care providers are attempting to build biobanks that integrate a patient’s medical record with their genetic information. Huckman argues that Amazon is well positioned to serve as a single point of data capture and integration. Paradigm shifts in the delivery of health care are on the horizon. Whether or not we will experience this “disruption” as a positive experience, whether from an Amazon-centric system or from a multitude of other entities, remains to be seen. Amazon’s collaboration with Berkshire Hathaway and JP Morgan Chase will likely influence the purchasing power of three large employers, which could lead to innovative insurance models. However, according to Huckman, we would see the biggest improvements in the actual delivery of health care as outlined in Huckman’s proposed customer experiences under an Amazon health care system. Susan Nowell, PT, DPT, is a PPS member and founder of Endurellect Therapies, practicing physical therapy in San Francisco. She can be reached at sunowell@gmail.com.